RETAIN the existing red meat Memorandum of Understanding; abandon it altogether and let the ‘law of the jungle’ dictate industry affairs; merge organisations like MLA, AMPC and Livecorp and their peak industry councils; or establish a new ‘future-focused’ organisation to oversee all red meat R&D and industry advocacy. These are four options for red meat industry reform outlined in a green paper released this morning that red meat producers and other stakeholders now have one month to consider and provide feedback on. It has been 20 years since the red meat Industry Memorandum of Understanding – the document that underpins the red meat industry’s organisational arrangements and establishes the roles and responsibilities of red meat bodies such as MLA, AMPC, Livecorp and the respective peak councils – was established. The industry has changed significantly since that time in a variety of ways: the consolidation of the red meat processing sector, the expansion of lot feeding, the increasing concentration of supermarket power, ever-rising regulatory burdens, the declining membership of peak industry councils, the deepening fragmentation of industry representation, changing consumer attitudes, growing animal welfare and environmental challenges and intensifying competition from other red meat producing nations and other protein sources. There is a no question a strong appetite for change has existed for several years, evidenced most recently by a direct recommendation from the 2017 Senate inquiry into red meat processing which called for a “root and branch review” of the 20 year old Red Meat MoU, to bring it up to speed with the changed industry dynamics of today, and of the future. The question is: how should it change to deliver the best results in terms of removing duplication; ensuring all sectors have a fair and equitable say over how their levies are spent; allowing the industry to speak to government and the public with a unified and credible voice; improving community and consumer trust and confidence in the industry; and allowing the industry to innovate and adapt. For the past five months a taskforce appointed by the Red Meat Advisory Council, which is the formal custodian of the red meat MoU, has been consulting with key stakeholders including the Federal Government, the peak red meat industry councils and MLA, Livecorp and AMPC to canvas views on possible options for change. 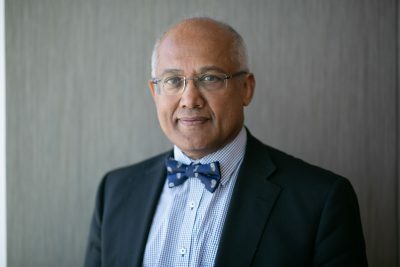 The taskforce, headed by former long-serving senior Queensland Government public servant Jim Varghese AM (full taskforce members listed below this article), has today released a green paper outlining four possible restructure options – while leaving room for a further option depending on the outcome of industry feedback – for industry and the public consultation. All interested parties now have one month to review the green paper and to provide feedback. After this consultation process, Mr Varghese as the independent chair will develop a white paper with his final recommendation, and it will then be up to RMAC, the peak industry councils and the Minister of Agriculture of the day to consider what action should be taken. Option 1: Improvements to existing MoU: This option implies that the existing MoU remains fit for purpose in taking the industry forward for the next 20 years. It would involve contemporary redrafting, specific and piecemeal changes to the MoU, but largely leave existing provisions in place. Existing service provision arrangements for research and development largely stay in place. Option 2: Law of the jungle: This option would cancel the MoU and include the removal of RMAC and existing R&D bodies. New arrangements would evolve to suit various industry-segment needs. Is effectively a market-based model, through which the remaining organisations would compete for existing funding and the industry would over time establish new relationships and arrangements. Option 3: Hybrid model: A hybrid approach between options 1 and 4 involving the development of a new MoU that proposes the rationalisation of R&D service providers to two, and an expertise-based board for RMAC. It would merge the functions of service providers and peak industry councils, with funds and representation shared between them. It would demand agreement that changes would need to be made to institutional arrangements but may have to be done over a five-year time frame or more to ensure that consensus emerges. 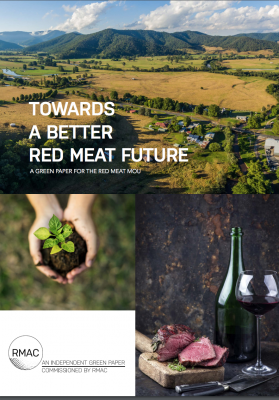 Option 4: A revitalised red meat industry led by a new organisation: This option involves a significant redrafting of the MoU to provide for one supply chain-oriented R&D service provider, an enhanced advocacy function and the capacity to respond agilely to emerging industry challenges and opportunities. With a proposed hypothetical name of Food Protein Australia, it would transcend the existing barriers within the red meat industry value chain. A future-focused organisation depicted as attracting thought leadership, skill-based governance and the use of new technology to stay connected to all members of the value chain. The removal of the current arrangements would happen as soon as practicable and the industry would immediately commence building a new architecture to guide the red meat industry. There is also a potential fifth option. Mr Varghese said the Taskforce recognises there may be other priorities or arrangements that may emerge during the consultation process over the next month. The 65 page document also delves into some crystal ball-gazing and considers future scenarios for the industry – including a “doom” scenario where industry governance arrangements are severely challenged by a catastrophic biosecurity outbreak, and “optimism”, a scenario in which consumer support for red meat grows, and Australian cattle numbers pass 50 million head and sheep numbers 135 million head by 2040. Mr Varghese said it is clear from consultations so far that a broad appetite for change exists, and that there is a growing sense of urgency for the industry to position itself for future challenges and opportunities. But within there is a wide spectrum of views as to whether change should involve strengthening existing arrangements or creating new governance arrangements for the industry. He said the industry has taken great strides in recent years in terms of developing whole-of-supply chain responses to a range of issues, including sustainability, promoting the role of red meat in ‘wellness’, putting in place environmental standards, prioritising animal welfare, crisis management, and the development of a range of industry standards. However, the taskforce states it is of the view that the current MoU not seen to be fit for purpose by most stakeholders we have engaged with – either because it is not adhered to, or it is no longer relevant. “There is a common view among peak industry councils, service providers and red meat businesses that the industry needs an enhanced narrative to better engage with government, community and international markets and to advance its advocacy skills and capacity,” the report states. “…There is broad recognition, however, that there are many challenges and opportunities faced by industry now, that were not apparent in 1998 when the MoU was put in place. Independent Chair of the Red Meat Advisory Council (RMAC) Don Mackay backed the call for “bold and ambitious reform” identified by stakeholders. “Good governance with clear roles and responsibilities is important in any organisation; in an industry as diverse as ours with 82,000 businesses right along the supply chain, it is critical. There have been several tilts at red meat industry reform in recent years, including three senate committee inquiries since 2013 and a thorough investigation of beef and cattle marketing arrangements by the ACCC in 2017. Red meat industry stakeholders may well be forgiven for feeling a sense of “review fatigue”. However, there are a number of reasons why this process is likely to result in broad reform where previous efforts have not. That includes the fact that this process is led not by a Government committee or agency but by the industry organisations that are positioned to effect change. Also where previous inquiries focused on specific sections of the red meat industry – i.e. grassfed cattle structures, competition in red meat processing or industry marketing arrangements – this review has the entire ovearching red meat structure as its focus. Jim Varghese, who has 33 years experience in public sector including roles as director general of various Queensland Departments including Primary Industries and Fisheries and Main Roads, and 10 years experience in the private sector, told Beef Central “this is not just another review”. “What is important about this is that this process is very different from some of the processes and reviews in this area, in that we have used a methodology that enhances engagement. “None of the (earlier) reviews have engaged in the stakeholder engagement we have been doing, none have done a green paper that takes the time to listen to what the key stakeholders in the value chain are saying. “All of them have been straight, normal analysis that you do, good analysis, and then effectively a white paper equivalent. “None of them have actually gone to this step that we have here where we have actually gone to the trouble of putting the spectrum of stakeholder views, putting them into options and then saying, look even if we have got these options, if they’re not right, tell us one that that we haven’t picked up. One recommendation of the 2017 Senate Inquiry into the red meat processing sector was that any future review of the red meat MoU should be conducted by a joint industry and Government body, not by the MoU custodian RMAC. The committee said that as one of the organisations under review, it believed RMAC was not the appropriate body to undertake such a review. However both Mr Varghese and RMAC red meat MoU review taskforce member Dr Michael Morgan said the process has been conducted in a fully independent manner at arm’s length to RMAC. Dr Morgan said beyond Mr Varghese’s autonomy and strong track record of conducting independent reviews, RMAC had ‘set the taskforce free’ and had no involvement in its day to day operations. “They’re not interfering and we consider them a stakeholder alongside the others in the industry,” he said. Mr Varghese said that the taskforce had also been careful not to ‘reinvent the wheel’ and had conducted a thorough examination of previous red meat reviews as part of its work over the past five months. 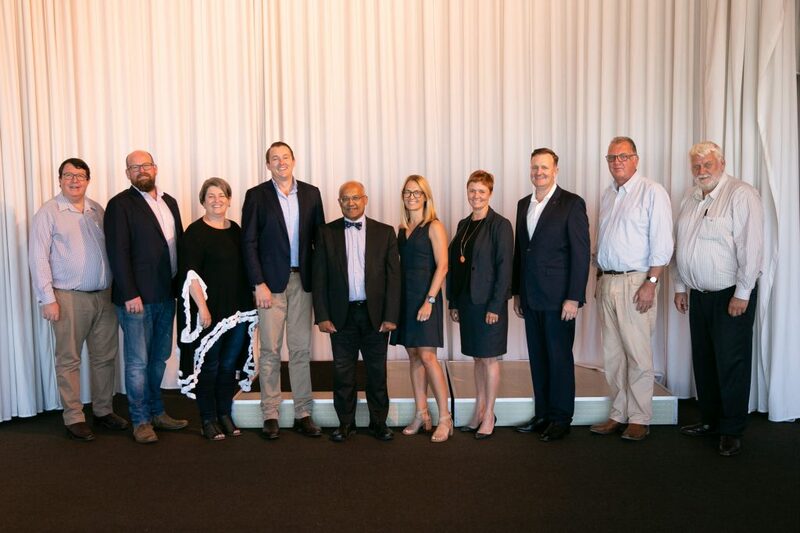 Left to right: Paul Lucas, former Attorney General, Queensland State Government and experienced company director, adviser, lawyer and state cabinet minister; Dr Michael Morgan; Jane Kellock, sheep farmer and wool grower; Will Barton, chief executive officer, Gundagai Meat Processors (GMP); taskforce chair Jim Varghese; Stacey Wordsworth, agriculture sector media and communications specialist; Kara Knudsen, Knudsen Cattle, and Nuffield scholar; Troy Setter, chief executive officer, Consolidated Pastoral Companies (CPC); Bruce Taylor; Gary Burridge, former-CEO Northern Cooperative Meatworks Company and experienced export meat processing executive and director. Absent: Fiona Nash, former Nationals Senator for New South Wales, former Minister for Local Government and Territories, former Minister for Regional Development, former Minister for Regional Communications and former Minister for Rural Health, and current strategic advisor for Charles Sturt University. Red meat production is a major contributor to greenhouse gas emission and may be recognised as the lowest hanging fruit for greenhouse gas reduction in the future as other opportunities are exploited. This issue will be of growing importance and must be addressed in consideration of any reform of the industry. Merge all the red meat concerns/bodies into one organisation for administrative efficiency and better use of taxpayer/producer levies. Don’t get carried away with being unnecessarily cute with names like Food Protein Australia. Retain the name Meat & Livestock Australia as it already says it all and it is an internationally recognised brand. Due to the limited producer representatives on the taskforce, ensure the final proposal of the taskforce is widely circulated before changes are legislated or locked in.